While diversity within the senior population is often overlooked, with anyone over the age of 65 simply being lumped into the “senior” group, diversity amongst older Americans is just as bit as prevalent as in younger population segments. One of these diversity groups includes lesbian, gay, bisexual & transgender (LGBT) seniors. According to the National Gay and Lesbian Taskforce, approximately 4% of seniors identify themselves as members of the LGBT community, with that population expected to double by 2030 as social stigmas around senior sexual orientation decrease and more seniors feel comfortable openly expressing their sexual orientation. While non-acceptance by society and their loved ones is a concern for aging members of the LGBT community, many are beginning to worry about who will care for them as they begin to require assistance with activities of daily living, as these individuals are statistically less likely to have been married or have children. 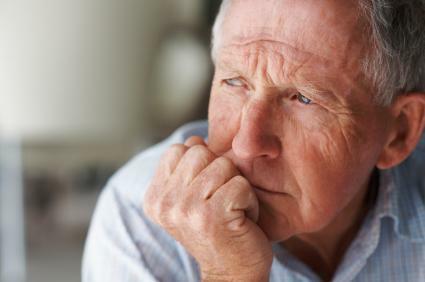 A survey by the The Aging Project, a Boston-based project, revealed that 80% of LGBT seniors fear revealing their sexual orientation to a caregiver or health professional for worry of harassment, or having an otherwise secret personal preference made very public. Home care services, however, may be able to offer LGBT seniors a safe way to age without fear of being “outed,” harassed, or otherwise made uncomfortable in regards to their sexual orientation. Senior residential facilities are close quarters, however, remaining in one’s own home allows seniors to maintain their way of life without the curious eyes of others peering in. This, coupled with quality home care services from a provider who utilizes home care software or a home care system, can keep LGBT seniors from aging alone. How? A powerful home care software or home care system, such as ClearCare, can help agency managers match accepting caregivers with seniors who may lead non-traditional lifestyles. Notes within assessments shared on a home care software or home care system allows administrators to easily share information with caregivers and flag important notes regarding sensitive information. Additionally, advertising home care services as “LGBT friendly” may open a door for seniors who otherwise fear inviting outside help into their home. If seniors still feel uncomfortable after they have had an initial assessment and seen the management power of a home care software of home care system, such as ClearCare, consider asking the client’s caregivers to sign an additional confidentiality clause to not disclose or discuss client information anywhere outside of the case. While this seems like common practice, this additional level of security may help LGBT seniors feel safe in their choice to have a caregiver provide assistance to them without the risk of losing their privacy. The well being of LGBT seniors is every bit as important as the well being of seniors of any other sexual orientation. And with a little preparation, and the help of a home care software or home care system, such as ClearCare, your agency may be able to provide the private link to assistance that LGBT seniors need.